With the VP-1 helicopter pod RIEGL provides a user-friendly turnkey solution for the application of the new RIEGL VUX-1LR Long Range LiDAR Sensor in airborne surveying missions. 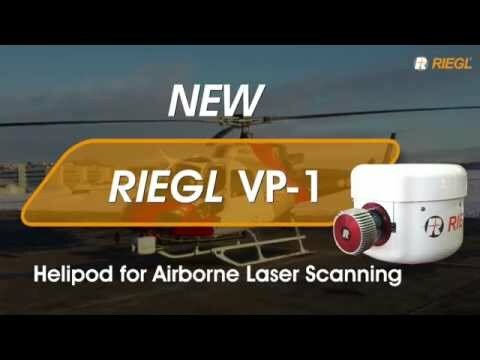 The VUX-SYS for Airborne Laser Scanning – comprising the LiDAR Sensor, the IMU/GNSS unit with antenna, the control unit and a digital camera – is fully integrated into the small and lightweight RIEGL VP-1 pod, to be mounted on standard hard points and typical camera mounts of manned helicopters. Quick release adapter brackets and a minimum of external cabling (i.e. power supply, LAN, GPS antenna) allow quick system installation and removal.